Many homeowners come to the realization, or have visiting family members point out, that their kitchen needs help. Collecting too much glassware or having an abundance of eating utensils can create chaos in what used to be an orderly living space. Here are some tips to help you keep your kitchen organized and clean. Keeping your utensils and kitchen tools organized in an open drawer is near impossible. Most times, plastic dividers you buy in your local store might be ill-fitting inside of your drawer. Choose a company that has professionals who know the perfect dimensions and materials for your drawers. If you have beautiful China that takes up cabinet space that would have been devoted to everyday plates, you need not fret. Keep your less decorative plates and bowls inside a drawer with a dish organizer. This drawer accessory is great for families of all sizes and decor tastes. 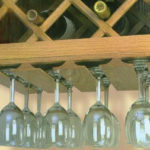 For those homeowners who like to entertain, having a place to store all your wine glasses can be tricky. Stemware racks are attached to the underside of your wall cabinets, and are a great addition to any kitchen or wet bar area. Bakers know all too well how important it is to have the right equipment for cakes, pies and cookies, and sometimes they need to have at least two of each type of sheet or pan. But where do they all go? Instead of having them scattered around your kitchen, wherever you can find space, keep them all in one area with a divider. A tray divider will hold your baking sheets upright to make it easy to grab the pan you are looking for. What do you do with gross trash or large recycling bins? No one likes the smell of dirty garbage when they’re trying to cook or eat. Hide the odor and trash with a pull-out drawer. 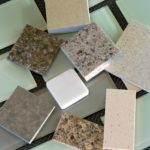 Trash pull out inserts come in a variety of sizes to work with most kitchens. Let’s Face It Kitchens has all these cabinet and drawer accessories, and more. We also offer cabinet refacing services. Contact us today at (215) 343-2600 for more information!